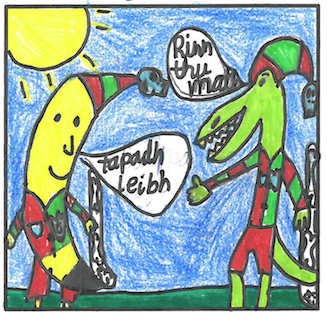 For the last few weeks, Magic Torch Comics have been having a blast working with Whinhill Primary School in Greenock, creating a comic using Gaelic language - no mean feat considering no one from Magic Torch can speak Gaelic. 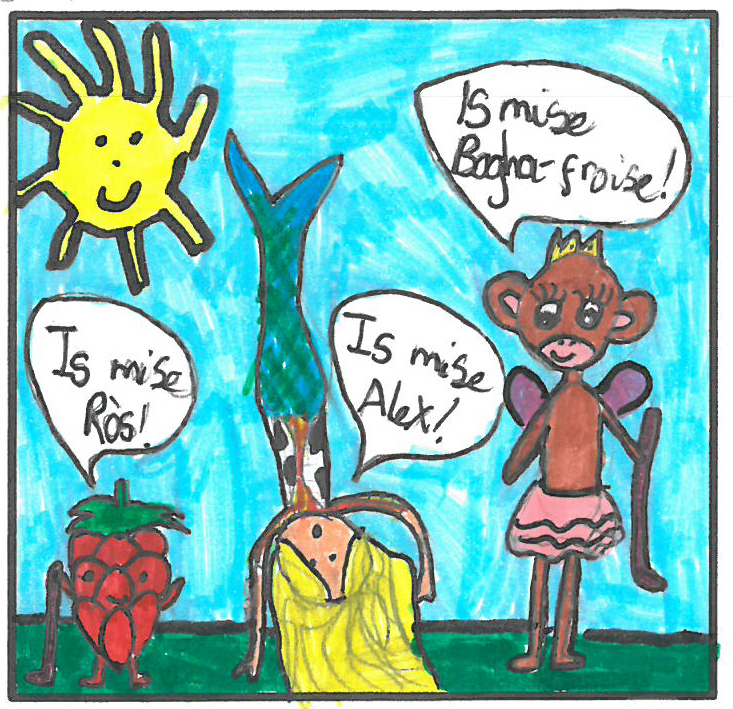 Thankfully however, Gaidhlig Primary 4 - 7 are really good at it, and were able to help us out. The comic is the first of 3 we will be creating with the support of Inverclyde Council Education Services 1+2 Language Development programme. 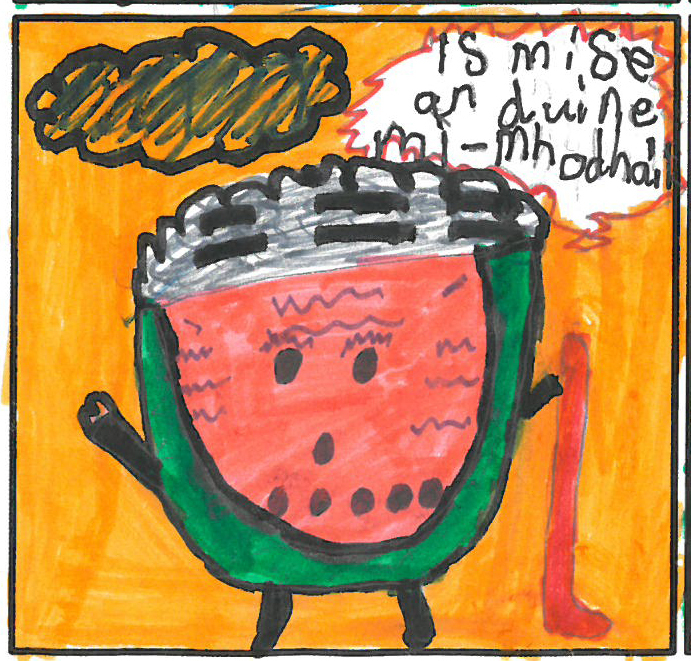 The 4 week project has involved the class learning about the language of comics and then researching a Gaelic song with particular relevance to the Greenock Highlanders, Camanachd Ghrianaig by Mairi Mhor Nan Oran - it tells the story of a Shinty match played in Greenock in 1877 between the Greenock and Glasgow Gaels. The class then helped adapt verses from the song into a comic strip for our artist Andy Lee. The next step was for each member of the class to create their own characters, and tell a story about them getting to the shinty match too. Here are just a few images of some of the wonderful comics created below. You can read the full comic online now.